October is marked as the Breast Cancer Awareness Month in countries across the world. 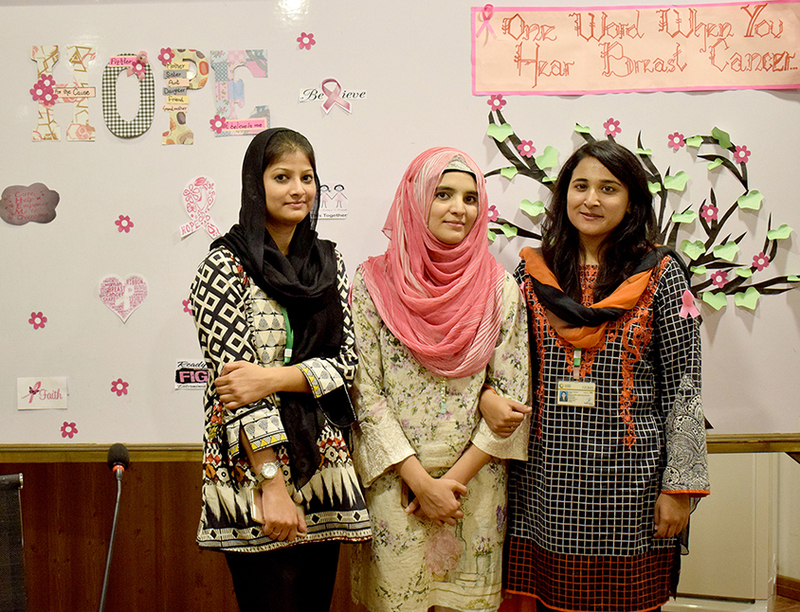 The Behavioral Scientists (Multidisciplinary Department) of NUMS held a Breast Cancer Awareness Session for its female employees at Professional Development Centre (PDC). 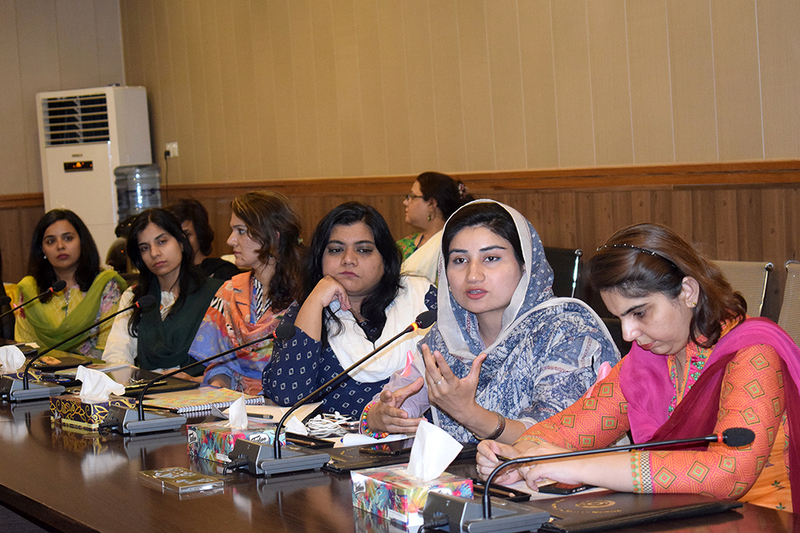 The aim was to sensitize the audience, convey the importance of early detection and inform them about the available support services. 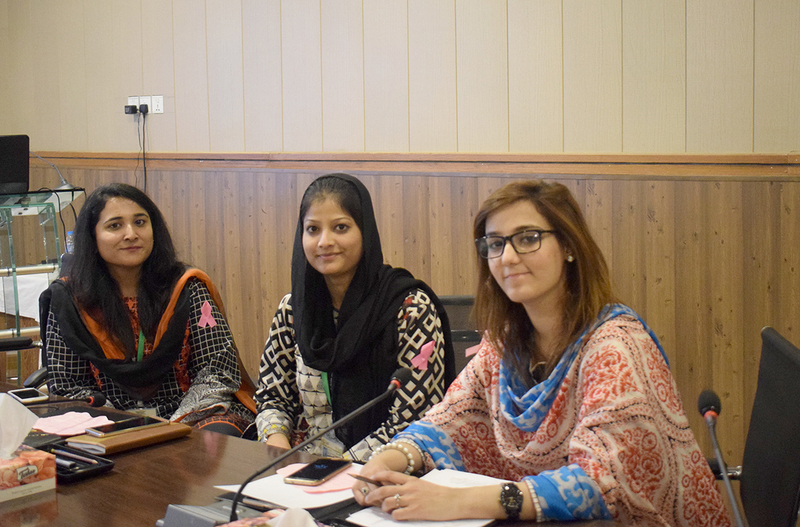 The session started with an overview of current researches on breast cancer that are being conducted at NUMS. 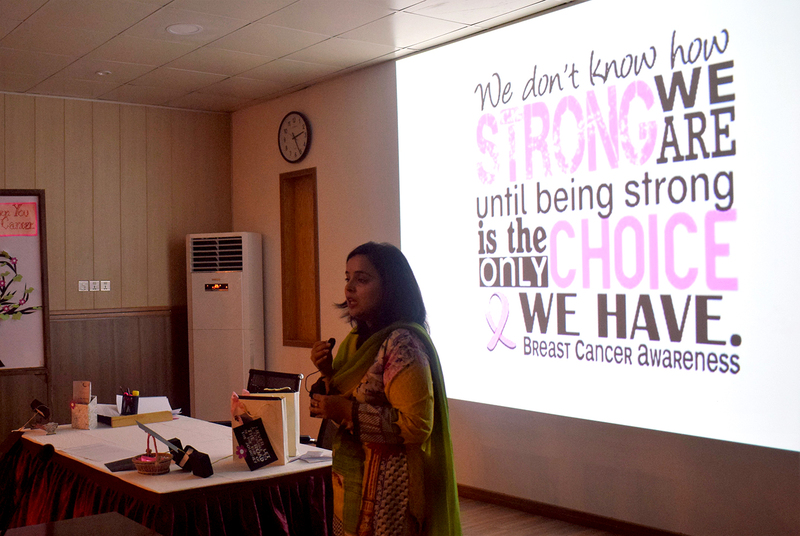 The breast cancer survivor who was invited to share her experience on cancer detection, chemotherapy, reaction from friends and family, instilled hope in the audience and shared valuable take-home messages. The chief-guest, Brig Afshan Fayyaz (Professor of Radiology, AFIRI) discussed symptoms, steps of self-exam and precautionary measures. In the last section, the audience were introduced to the social and psychological issues faced by breast cancer patients. The organising team shared life narratives of the patients, which opened the floor for discussion and the audience participated in debunking myths about breast cancer. The participants highlighted the need for clinical and social sciences researches, and local indigenous models to combat the disease.